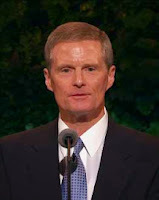 Elder David A. Bednar (born June 15, 1952) was serving as the president of BYU–Idaho when he was called and sustained as a member of the Quorum of Twelve Apostles in October 2004. 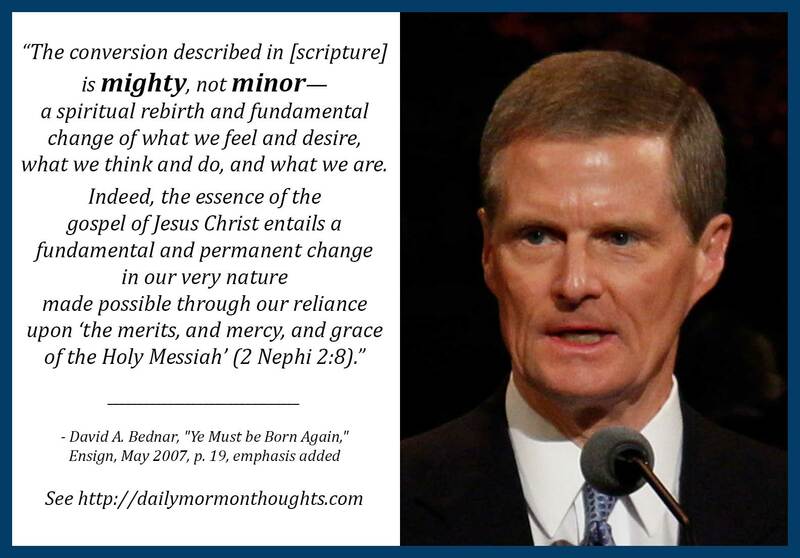 "The spiritual rebirth... typically does not occur quickly or all at once; it is an ongoing process—not a single event. Line upon line and precept upon precept, gradually and almost imperceptibly, our motives, our thoughts, our words, and our deeds become aligned with the will of God. This phase of the transformation process requires time, persistence, and patience." So we are seeking "a fundamental and permanent change in our very nature." This process is not quick and not easy. It's a life-long process, though we should be able to notice ongoing progress towards the ideal. The key is that "our motives, our thoughts, our words, and our deeds become aligned with the will of God." I love that description; step by step, our natures change so that we are more godlike. 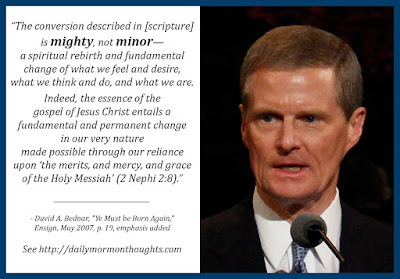 In Moroni's words, we deny ourselves of anything that is ungodly (Moroni 10:32) so that the only thing that remains are god-like traits. What a beautiful and glorious process!